The Fortnightly Review under Morley, 1867-1882. MORLEY HAD MADE HIS first appearance in the pages of the Fortnightly in September 1866, when in thoroughly characteristic fashion he attacked the proposed Annexation of Mysore. Only to flutter the pages of his article is to hear once more the trumpets of radicalism sounding the assault, and to see the banners of “Peace, Retrenchment and Reform” borne forward before the advancing hosts. Any increase of our Indian territory is an increase of our civil and military expenditure, already excessive. England cannot afford it, and all the less as she is weakened in Europe by this unnecessary drain upon her economic strength. What is this policy of “drift,” his “no-policy,” this mere surrender to departmental go-as-you-will? “There is no such thing as a policy. Each increase in each department is considered and settled just as it turns up.” In consequence “we have abandoned our legitimate influence in the West in order to annex in the East. We preach moral suasion in Europe so that we may be free to practise material repression in Asia. We make ourselves despised in one continent in order to make ourselves despised in another.” And so on, and so on. The vigour recalls the giants of Palmerstonian politics; much of the phrasing might have been coined only yesterday. With Morley’s hand on the helm, fresh vigour begins at once to flow into the Review. The very pages take on a different look. The index is systematised. The Contents bills are better varied—still sufficiently philosophical but with a stiffer admixture of politics. Literature has its due place and its better selected. The new Editor writes less and writes better. On controversial topics he strikes a bolder note, and contributors respond. Tyndall discusses Miracles and Special Providence, an article calculated to startle the orthodox. Beesly leaves the Romans and tackles a trade union subject. New names appear. Cotter Morison considers “The Significances of Ritualism and American Religious Utopias”. Miss Frances Power Cobbe doubts whether we are really progressing and whether the taint of commercialism will not cause England to be written down as “The greatest, wisest, meanest of nations.” Vambéry carries us off to Central Asia and its Slave Trade, and Swinburne and Meredith contribute poems. THERE WAS PLENTY OF hard hitting, both within and without the pages of the Fortnightly Review, during John Morley’s editorship. 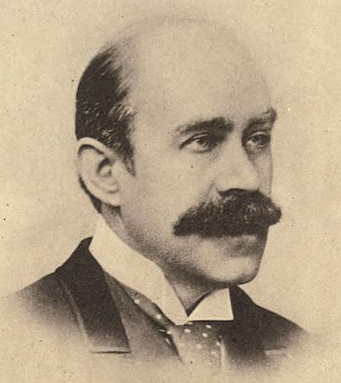 Frederic Harrison’s powerful defence of the trade unions was denounced by outside critics as “incendiary.” The Fortnightly’s advocacy of free education and its defence of Forster’s modified undenominationalism in the public schools, were interpreted as a deliberate plot for suppressing the Bible in education. Because writers like Harrison, of Comtist opinions, were allowed to contribute, the Review was often called the organ of Comtism. When Morley was giving up the editorship, in 1882, he frankly admitted that the Review under him had “unquestionably gathered round it some of the associations of sect.” But he argued that the wider term Positivist better described it than Comtist, since only a few of its contributors were disciples of Comte, and he urged that the great political programme, Free Labour, Free Land, Free Schools, Free Church, preached in its pages, was wider even than the Positive creed. It a label must be found—and “this passion for a label is, after all, an infirmity”—he would have preferred the great word Liberalism, the religion of himself and those like-minded who had left the orthodox creeds. IT IS NO DETRACTION from the brilliance of Morley’s editing to point out the he was fortunate in his period. Period indeed and editor were happily matched. The ’seventies in England offered many analogies to the Aufklärung in Germany or to the Encyclopédie in France. As Morley says in his Reminiscences, it was an age of “fresh flowing currents of thought, interest and debate… the gospel of free intellectual and social expansions” needed “a fresh organ of independent thought,” and it found that organ, under the guidance of a mind, itself akin to the French philosophers of the illumination, in the Fortnightly Review as edited by John Morley. In other words, in place of Bradlaugh and tub-thumping, you had Huxley, Leslie Stephen and W. K. Clifford writing in the Fortnightly; in place of torn-up railings in Hyde Park you had Frederic Harrison fighting the battle of Trade-Unionism in the pages of a first-class Review. It is interesting to trace in a little more detail the working out of the fourfold programme: Free Labour, Free Land, Free Church and Free Schools. Beesly and Frederic Harrison in particular stand for the first, with W. T. Thornton, the economist, seconding them. Beesly heads the July number of Morley’s first year with an article on The Trade Union Commission; Harrison two years later discusses the Trade Union Bills which resulted from their deliberations. Thornton’s Stray Chapters on Labour, begun under Lewes, continue. John Stuart Mill reviews Thornton’s economics. With 1870 J. A. Cairnes begins weighty economic articles and we discern Free Land on the horizon. Political Economy and the Land is his first contribution. He also criticises with penetration the Comtist economics, provoking a reply from Frederic Harrison. The following year, 1871, has Henry Fawcett’s article Is England Prospering?, which concludes with a strong plea for more and better education of the people. In 1872, W. E. Bear begins a long series of articles on Agriculture and the position of all engaged in it with The Strike of the Farm Labourers. Henry Fawcett also writes on The Nationalization of the Land. That year saw also the first of Alfred Lyall’s subtle and penetrating studies of Indian religions, articles of inestimable value to the students of comparative religion but very disquieting to the devout supporters of missionary societies in England. The Church of England and the People, by George Potter, makes a strong case against the exclusiveness of Establishments, and an earlier article by J. S. Mill had considered the morality of Endowments. The programme is well launched, but the Editor is too wise in his generation to let the Review degenerate into propaganda. He devotes much space to current politics, both at home and abroad, though he quickly drops the monthly chronique on Public Affairs, which Lewes had inaugurated. It reappears spasmodically in 1873-4 but signed by Frederic Harrison, not the Editor, an interesting anticipation of the rôle of general commentator so ably filled by that almost nonagenarian contributor in 1918 and 1920. Before the Election of 1868 Morley writes himself on Old Parties and a New Policy, outlining the programme of Liberalism; whilst Dr. Pankhurst, forestalling his relatives, discusses The Right of Women to Vote under the Reform Act of 1867. This question comes up again more than once. Morley himself reviews an anonymous work on the Social and Economic Dependence of Women and also Condorcet’s plea for the Citizenship of Women. Mill’s step-daughter, Helen Taylor, examining the Politics of Sir Thomas More, brings out his enlightened views on women’s education; and Mrs. Fawcett, a very young wife in those days, writes on their Electoral Disabilities. BUT BEFORE THE CLOSE of 1870 the cataclysm across the Channel relegates home affairs to the background. The Editor himself deals with the situation both in September and October, first under the title France and Germany, secondly England and the War. In November he publishes a “Letter” from Sir George Clooney and a “Note” by himself in reply. He holds France to blame and looks forward to a French Republic. But in December he allows Frederic Harrison, a life-long friend of France, to expose the policy of Bismarckism. Harrison, who lived to see the second great German invasion and to comment on its results in the Fortnightly in 1918, was, when the War of 1870 broke out, so little expecting it that he was on a honeymoon tour in France. He stayed abroad until October so as “to watch the great war and its results from abroad.” Though bitterly opposed at the time to the histrionics of Napoleon III at the opening of the war (the action of Bismarck as agent provocateur was then unknown), Harrison was no stranger to the danger that had long threatened European peace from the ambitions of Prussia. As early as 1864, at the time of the Schleswig-Holstein affair, he was urging this upon Palmerston’s Government in letters to the press. “Mr. Gladstone, the Peace Radicals and the general public were blind to the vast and sinister power which was gradually being built up by the great Prussian statesmen. Cavour, the greatest statesman of the nineteenth century, was gone; Palmerston was in his decrepitude and actually favoured the aggrandizement of Prussia.” But when the Napoleonic dynasty had fallen and the war was degenerating into an attempt on the part of Bismarck to crush France and leave her impotent, Harrison spared no effort to enlist British sympathies for the young French Republic. He protested vigorously against the annexation of Alsace and Lorraine, denying that Germany needed them to protect her strategic frontier, or that their German populations were panting to be freed. And he denied still more vigorously that the influence of German culture would be for the good of Europe, a favourite academic doctrine at the time which for many only met its final refutation in 1914. But even in 1870 Frederic Harrison was saying: “Why are we to take the future freedom and peacefulness of Germany on faith? We know that for one hundred and fifty years the present dynasty and its servants have held Prussia in the grasp of a strict military discipline…. The Prussian rule has ever been defiant of public opinion…. Germany will do whatever the Hohenzollerns think most to redound to their personal glory…. And we are asked to entrust the peace of Europe to the keeping of these men.” What they made of it is now bitter knowledge to the whole world. EARLY IN THE NEXT year Harrison returns to the charge in an article on “The Effacement of England”. France must be preserved for the sake of England. “A man may desire” (as Morley clearly desired) “the unity of Germany without finding it in the smoking ruins of Paris.” He writes again on “The Fall of the Commune”, a movement which had his sympathy but which was doomed to failure through the weakness of its initiators, “a singularly unpractical, unbusinesslike and ineffectual set,” as he found them to be later, “often nursing in exile visionary schemes and the jealousies and suspicions of rival sects.” No wonder that they failed. But however much Harrison might “deplore the blunders of the Commune and abhor its crimes,” he was too good a Republican not to sympathize with its principle of municipal self-government and with the claim of the working-men of Paris to take their part. He was one of the few to defend them and to insist on Englishmen hearing the other side, the barbarity of the methods employed to suppress a perfectly just attempt to establish government on a democratic basis. It was Harrison’s abiding belief that the Commune, with all its horrors and its apparent failure, saved the French Republic and frustrated a monarchical reaction. Other articles on France and on the Commune appear by Helen Taylor, by Jules Andrieu, by the Editor himself and by Karl Blind. Von Sybel on the other hand deals with The German Empire and Émile de Laveleye with The Future of France. On the literary side Morley writes a good deal himself, contributing those studies of Burke, which made later a volume in the English Men of Letters series, and articles on Rousseau, Condorcet, Voltaire and the French illuminati of the eighteenth century, who so greatly attracted him, and with whom he had so strong an affinity. Swinburne continues to write for him, and he recruits also such literary critics of the first order as Dowden, Saintsbury, John Addington Symonds, Leslie Stephen and W. H. Pater. Pater contributes several of the studies which made up his Renaissance volume, Symonds a considered article on Arthur Hugh Clough, and Stephen papers on Balzac, on De Quincey and on Waxburton. Dowden writes on Landor and Buxton Forman on Richardson. Morley also himself reviews many of the poems of the period, William Morris’s Earthly Paradise, Browning’s The Ring and the Book, whilst Swinburne writes for him on Morris’ Life and Death of Jason, Matthew Arnold’s New Poems and Victor Hugo’s L’Année Terrible. 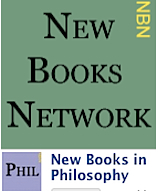 Rossetti contributes sonnets, and Robinson Ellis translations from Catullus—here Morley the scholar vanquishes Morley the moralist—Meredith reviews Myers’ St. Paul and Capes Newman’s Verses on Various Occasions. Serials continue for a time, but they are of little amount. Evidently the Editor paid small heed to them. 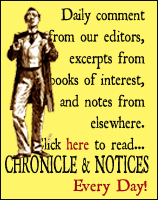 But indeed serials—I give away here for what it is worth a well-known editorial secret—are always much more the choice and the concern of the publisher of a Review than of its Editor. The publisher sees in them his last chance of holding is authors by serialising their works in his own periodical, whilst the Editor, though he may breathe a sigh over valuable space wasted, knows very well that not ten per cent. of his public care twopence whether there is a serial or not. STILL MORLEY, NOW FIRMLY in the saddle, must have about 1875 asserted himself. He had stood a Whyte Melville novel, one by Marmion Savage, at one time Editor of The Examiner, and two Trollopes, The Eustace Diamonds and Lady Anna, the second appearing anonymously but signed in the last installment. Meredith’s Beauchamps’s Career runs through 1874. Then serials cease and never reappear during Morley’s editorship until his last year (1881) he admits Meredith again with The Tragic Comedians. The space saved he devotes from 1876 onwards to a chronique on Home and Foreign Affairs. With 1873 and the decline of the Liberal ascendancy Morley seems to embark upon a still more vigorous and combative period, as though anxious to make good in his pages the comparative weakness of his party in Parliament. In 1874 Frederic Harrison deals trenchantly with The Conservative Reaction, and Leslie Stephen a little unkindly selects that year of Dizzy’s political triumph to review his novels, attributing to their author’s increasing absorption in politics the gradual deterioration from the promise of Henrietta Temple and Contarini Fleming down through the political novels to Lothair where the writer can only be supposed to be parodying himself. Disraeli the Premier has quenched Disraeli the novelist. The shaft struck home, as Dizzy’s correspondence with Lady Bradford and Lady Chesterfield proves. He more than once refers to the review, which had obviously annoyed him. 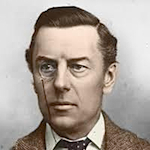 More serious political onslaughts on the new Government appear over the signature of Joseph Chamberlain, who makes a first appearance with The Liberal Party and its Leaders and follows it up by The Next Page in the Liberal Programme. Free Land gets further advocacy from H. R. Grand, whilst in addition to an important series of articles on The Struggle for National Education by the Editor himself, Free Schools are advocated both by Charles Wentworth Dilke and by Joseph Chamberlain. Beesly keeps the land programme to the fore with articles on the Game Laws and on Deer Forests and Culpable Luxury, and Chamberlain, Lowe and others tackle the Liquor Question and its proper relation to Municipal Government. 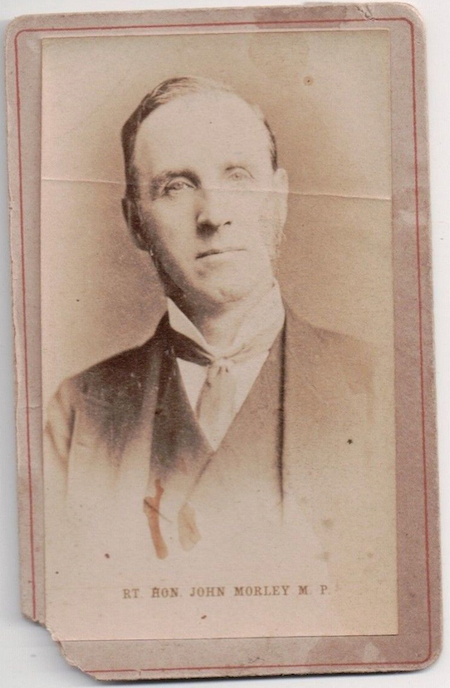 From 1878 onwards Goldwin Smith appears as another champion of uncompromising Liberalism, and in that year the Editor admits the unusual feature of three anonymous articles on The Political Adventures of Lord Beaconsfield. He had, however, seen some reason, as his editorship progressed, to modify his views on anonymity in journalism, for in his Valedictory (1882) he admits that “the change from anonymous to signed articles has followed the course of most changes. It has not led to one-half either of the evils or of the advantages that its advocates and its opponents foretold.” Some men, he has found, “write best when they sign what they write… with others it is just the reverse.” Still journalism, by having become more personal, has, he thinks, increased in power; and though he depredates the claim, made to him in conversation by “the Editor of a Review of great eminence,” that he felt himself the equal of twenty-five members of parliament (for his own part, he says, he takes “a slightly more modest view”), he does claim for the Fortnightly that during his fifteen years of editorship it wielded an unquestioned and powerful influence. Nowhere was that influence greater than in the struggle for freedom of thought. We that are free-born hardly realize the great price with which our fathers bought this freedom. But on has only to turn over the memoirs and the periodical literature of the ‘sixties and ‘seventies to recognise that the generation which drove Maurice from his Chair at King’s College because he attached a slightly different meaning to the word “eternal” than the orthodox ascribed to it, were only too ready to ostracize and drive out of public life any who threw doubts on the most mechanical and literal interpretation of scripture. Science and philosophy were practically forced into revolt, and chains of reasoning that seem to us either slightly puerile or not in the best of taste were merely efforts to throw off shackles to us almost unimaginable. Such, for instance, is an early article by Francis Galton on the possibility of A Statistical Enquiry into the Efficacy of Prayer, the first two or three pages of which are devoted to proving by comparative tables that Sovereigns live on the average some two years less than other “affluent persons.” Yet the Church prays continually “Grant them in health and wealth long to live.” Such an argument would nowadays be laughed out of court. BUT SERIOUS AND WEIGHTY attacks upon prevailing beliefs were fearlessly published almost every month in the Fortnightly. The “profound sensation” caused, as Morley himself records, by Huxley’s Physical Basis of Life in 1869, was only the first of many such intellectual shocks. In particular, Huxley’s much younger colleague, W. K. Clifford, from 1874 onwards was carrying the war right into the enemy’s camp. Body and Mind as necessarily correlated, the second having no proved independent existence and carrying therefore no promise of survival, was the first line of attack. The First and the Last Catastrophe, The Ethics of Religion, The Unseen Universe, this last, an 18-page article, composed, so Morley tells us, in one sitting lasting from 10 p.m. to daylight, were further expressions of “that curious audacity” with which Clifford, who died worn-out at thirty-five, “proclaimed at the pitch of his voice on the housetops religious opinions that had hitherto been kept among the family secrets of the domus Socratica. Less strident, but equally, perhaps more subtly, disturbing to religious minds were Leslie Stephen’s articles, An Agnostic’s Apology, The Scepticism of Believers, or Dr. Newman’s Theory of Belief. As epoch-making in its way was the Editor’s own treatise On Compromise which appeared in instalments through 1874. Though not, perhaps, directly prompted by Mill’s vacillation towards the close of his life in the direction of Theism, as evidenced in his posthumous Three Essays on Religion, it did, as a matter of fact, appear a few months after Mill’s death, and is contemporaneous with the review of the Essays, in which Morley expressed his strong dissent, though he is careful to refer his readers back to the very beautiful and touching tribute to his lifelong friend’s memory which he had published earlier in that year. Morley himself was made of sterner stuff than Mill. “No compromise about it but the name,” said a contemporary critic, when the articles appeared in book form; and indeed on the book’s title-page Morley quotes Archbishop Whateley’s saying: “It makes all the difference in the world whether we put Truth in the first place or in the second place.” After analysing at some length the English dislike of general principles, neglect of Historic Method and persistent tendency to compromise, he gives two striking instances of the moral confusion introduced into politics by this exaltation of expediency above truth—England’s expressed sympathy with the Southern Slave States during the American Civil War, and her condonation of the unscrupulous methods whereby Louis Napoleon made himself Emperor of the French. The essay contains many pregnant sayings. The time in which he wrote seemed to him, as to Matthew Arnold, more than any previous time an ages of “transition in the very foundations of belief and conduct. The old hopes have grown pale, old fears dim; strong sanctions are become weak, and once vivid faiths very numb. Religion, whatever destinies may be in store for it, is at least for the present hardly any longer an organic power… conscience has lost its strong and on-pressing energy and the sense of personal responsibility lacks sharpness of edge…. The souls of men have become void. Into the void have entered in triumph the seven devils of secularity.” What is the remedy? Not, as the timorous urge, hiding the light and allowing error to persist for its usefulness’s sake. To the contention that “for the mass of men… use and wont, prejudices, superstitions—however erroneous in themselves—are the only safe guardians of the common virtues,” Morley replies that though the mass may walk in little light, “whatever impairs the brightness of such light as a man has it not useful but hurtful.” To hold error is to make intelligence less and less ready to receive truth. Moreover, to associate virtue with error, as for instance to threaten children with hell fire, is to risk the associated virtue directly they discover the baselessness of the threat. No, none are more deeply interested in up-holding a high ideal of conduct than “those who no longer place their highest faith in powers above and beyond men.” To these the “cherishing the integrity and worthiness of man himself” must be a supreme object. AS THE DECADE PROGRESSES, “younger” literary names are added—veterans to us of the twentieth century, and most of them now passed over to the other side—H. D. Traill, Edmund Gosse, W. L. Courtney, Grant Allen, Sir John Lubbock (“On the Habits of Ants”) and, with increasing frequency, Matthew Arnold. Alfred Russel Wallace is allowed to expound Modern Spiritualism in two long articles and Dr. Sophia Jex-Blake to explain the need of a Medical Education for Women. Montagu Cookson (later Crackenthorpe) breaks new ground with The Morality of Married Life, a plea for reasoned restraint on population, which was later to develop into the Eugenics movement of to-day. And Bagehot, something of a free lance and a rebel in Morley’s Rationalist camp, follows up his English Constitution by the chapters of Physics and Politics. In the closing years the Editor turns more and more to current politics. Liberalism is again in the ascendant and Ireland in particular calls for a large share of his attention. Morley the Liberal statesman, Morley the future Home Ruler, Morley the advocate of a measure of self-government for India, are foreshadowed in the Contents bills of his 1880-1882 volumes. During those years he was editing also the Pall Mall Gazette with W. T. Stead as his assistant, and contesting one or two elections. In 1883 he is successful in a by-election at Newcastle-on-Tyne and henceforth journalism knows him no more. One is tempted to think that Morley, fortunate in his epoch, could draw on a galaxy of talent denied to his successors. But here it must be remembered that Reviews were themselves fewer, and talent, therefore, more concentrated. The Westminster was extinct. The Contemporary had certainly come into existence, but was not then very prominent. The Nineteenth Century did not begin until 1877, and the National not till 1883. Moreover the practice, now so common, of publishing in daily newspapers important articles of a review character, for a remuneration which only a great circulation can make economic, was quite unknown. Long before the end of Courtney’s editorship he was convinced that in that particular form of competition lay the greatest danger for the monthlies. Additional comment by W.L. 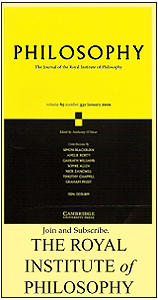 and Janet Courtney on the editorship of John Morley has been published in the New Series here.